TOPSoccer is designed to reach and meet the needs of children aged 5-19 years with physical and/or mental disabilities. The program caters to player development rather than competition. TOPSoccer takes the kids off the sidelines and allows them to participate in the game of soccer. Through the efforts of US Youth Soccer, FYSA, and other members of US Youth Soccer the children participating in the TOPSoccer program will have the opportunity to develop a sense of belonging on and off the soccer pitch as well as learn the value of being part of a team, improve their self-esteem, fitness and social skills. But most importantly, enjoy the great game of soccer! 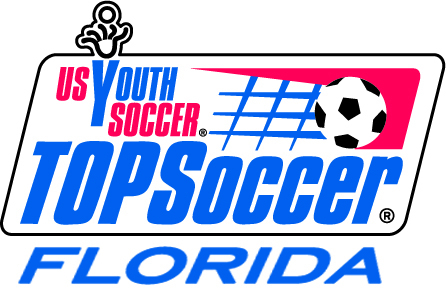 For more information on the TOPSoccer program, you can visit the TOPSoccer page on the US Youth website. Hollywood Wildcats FC Board of Directors is very open to participating in TOPS Program. If you are a parent or guardian of a child that would benefit from such a program and are willing to, or know of another suitable person willing to, run this program on our field(s) please contact the Board and let's get a conversation going.